Fully completed and signed Azerbaijan Visa Application Print the completed application form received on e-mail. 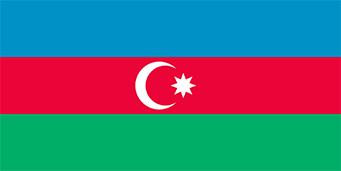 Invitation letter from Host Company or Organization in Azerbaijan, authorized by the Azerbaijan Ministry of Foreign Affairs. Tourist Visa Fess Without Voucher –A Tourist Visa Without Voucher is given to visitors to Azerbaijan who will be staying in a hotel, traveling with a tour group or on a Cruise. A hotel reservation confirmation on hotel letterhead is required. Tourist Visa Fess With Voucher – A Tourist Visa With Voucher is given to visitors to Azerbaijan who will be staying in a hotel, traveling with a tour group or on a Cruise. The Voucher must have been previously obtained from a Travel Agency in Azerbaijan. Updated: November 5th, 2013 .